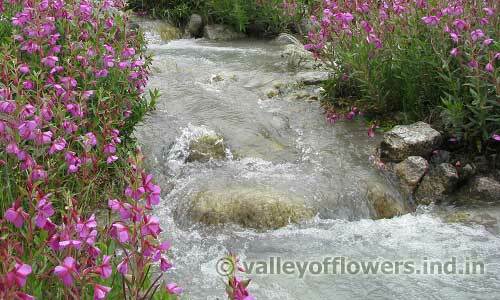 Valley of Flowers is one of the most beautiful natural wonder. It changes very rapidly with time. 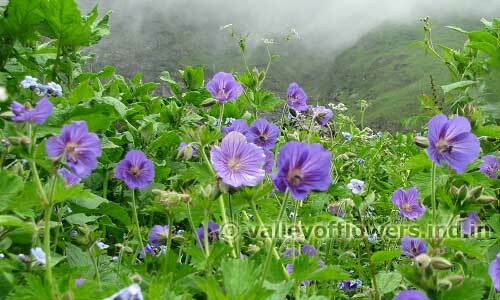 So it is very important to know the best time to visit Valley of Flowers. 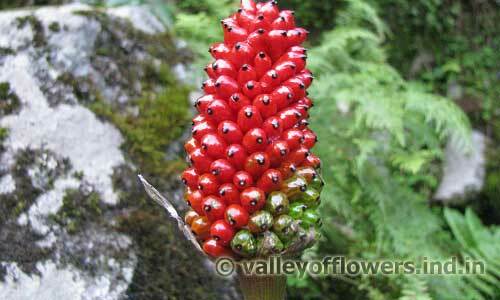 At time people asks about going to Valley of Flowers in January. 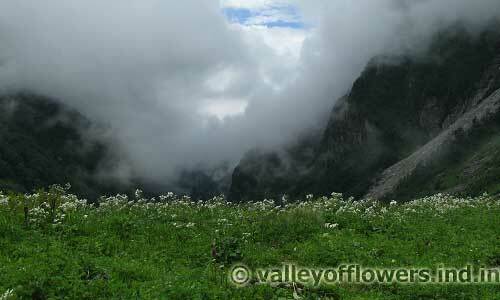 It seems funny for them who know that this is not the right time to visit Valley of Flowers. 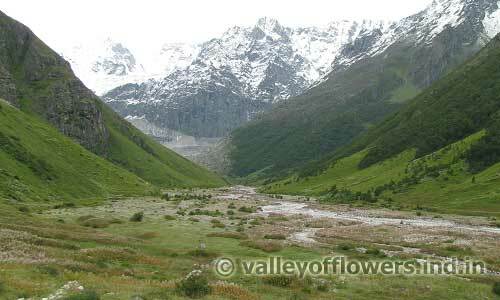 Valley of Flowers is snow clad for most of the year and is accessible only from June to September. 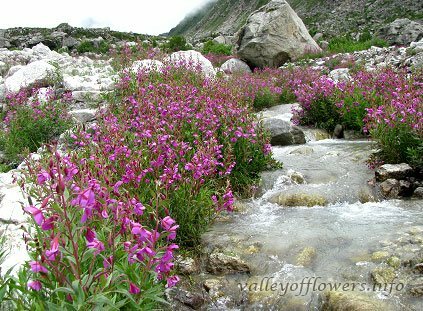 It means we have only four months in a year to visit Valley of Flowers. 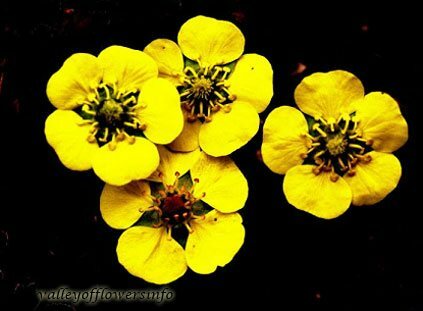 It means nature has only four months to complete its cycle at Valley of Flowers. Snow starts melting in April and the seeds put down by plants last year start germinating. 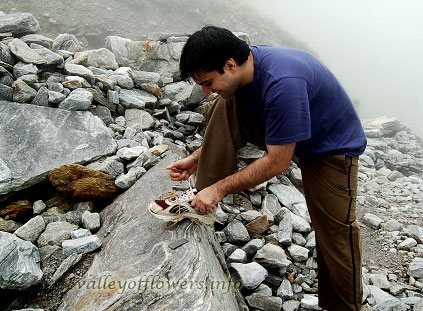 By June first week when Valley of Flowers is opened for public you see some small plants and very few flowers. As time passes more and more variety comes and you see different colors of flowers and the valley. We can divide the total period of four months in to five parts. This is the time when you see very less number of flowers and lot of glaciers. These glaciers were responsible for floods in Uttrakhand. The floods occurred on 17th June, 2013. The glaciers melted heavily due to rains and caused massive damage. 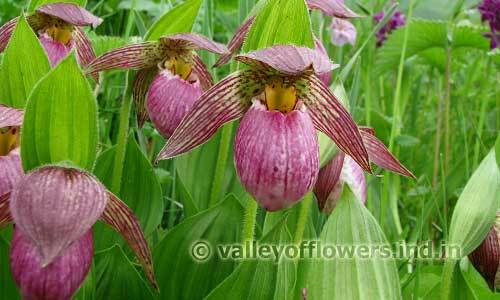 If you want to see lot of flowers in the valley, June is not the right time to visit. Moreover June is holiday season in India and therefore the peak season for Hemkund Sahib Pilgrims and therefore the base camp village is too much crowded by Sikh Pilgrims. 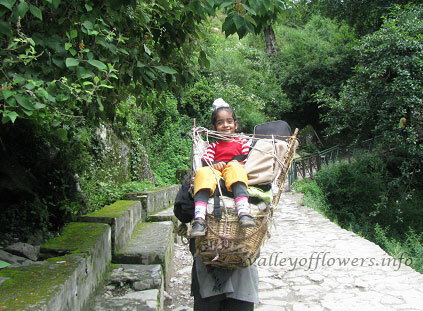 Even the trek between Govindghat and Ghangaria is filled up with lot of people, ponies and porters. 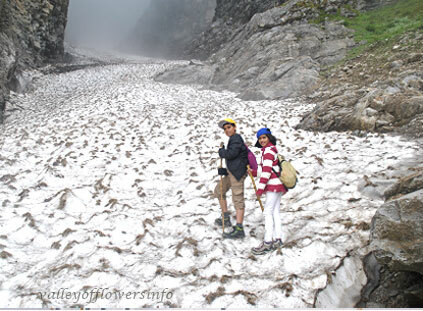 It rains very less in June and so there is no disturbance while trekking. There are fewer landslides on your road journey between Haridwar and Govindghat. 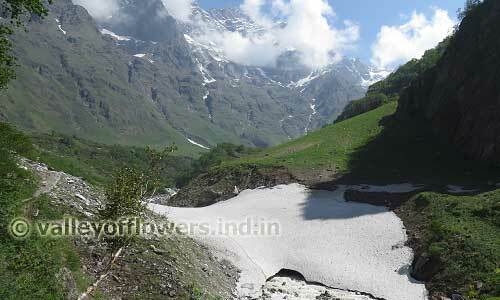 If you are fond of seeing lot of Glaciers and snow it is a good time to visit the Valley of Flowers. Most important on is that there are very less number of flowers. The cost of hotel is also is higher due to high demand at Ghangaria. Vehicle cost is also high as it is peak time for Char Dham. 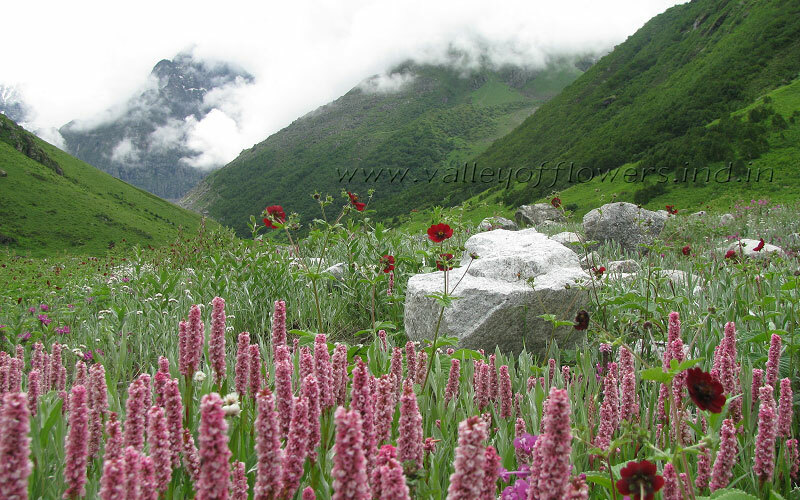 Our call whether this is the best time to visit Valley of Flowers ? : No. 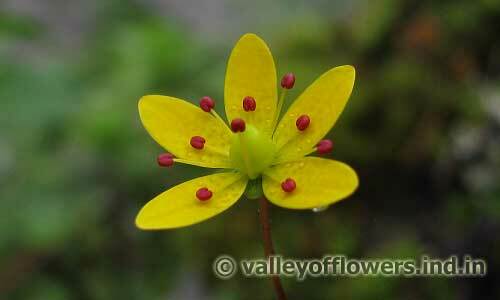 Following are some of the pictures taken in Valley of Flowers in June. unless you know it’s location. We give 7/10 points to this period. 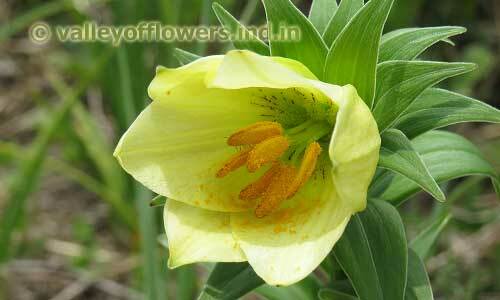 is good time for people want to see some glaciers as well as flowers . Ghangaria village is less crowded as compared to June month. 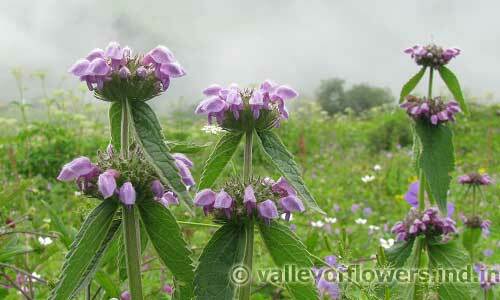 The number of flowers is not maximum and an monsoon is spoilspot while trekking. Following are some of the pictures taken during July first half. 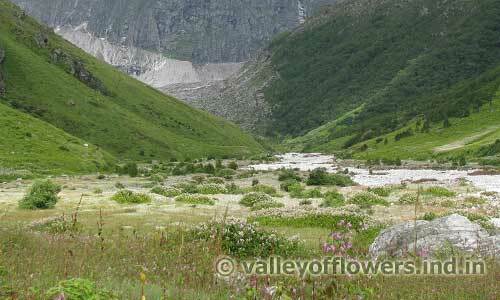 Valley of Flowers from second half of July to first half of August. colour. So you can say the valley changes colour almost every day due to change in the variety of flowers or came in the leaves colour or due to change in weather (for eight months valley is full of snow and remains white in colour). We have seen the valley almost every day of four months in which it is accessible. 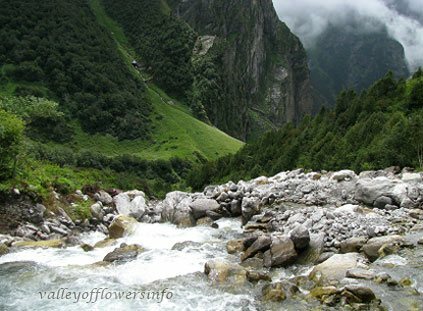 One important thing that most of the people are more concerned about going to Valley of Flowers and gives less to preference to Hemkund Sahib. But we tell you that there are some beautiful flowers which are available at Hemkund Sahib and not even in Valley of Flowers as there is a height in defence of about 1000 m in valley and Hemkund Sahib. 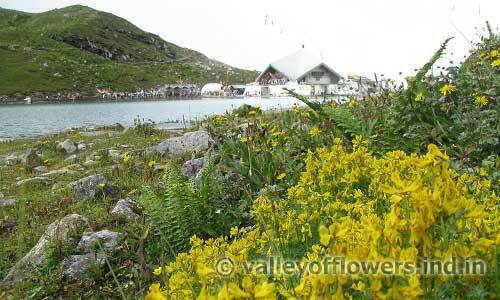 You can see Bistorta Affinis, Braham Kamals and Blue Poppies at Hemkund Sahib. 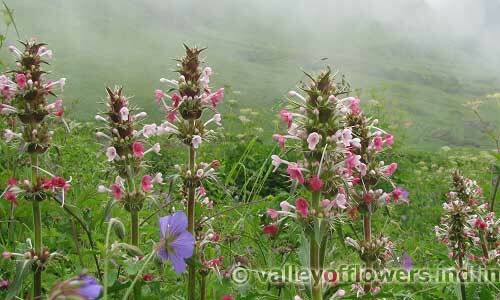 You can see some of the pictures of Valley of Flowers during mid July to mid August below. Positive points in going to Valley of Flowers during this time. 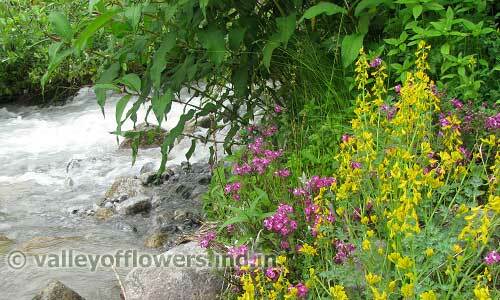 This is the time when Valley of Flowers it in its full bloom and you see maximum number of flowers. 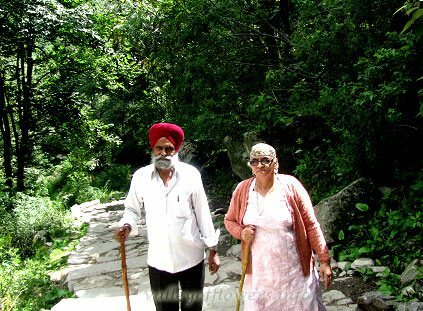 Moreover it is not the peak time for Pilgrims going to Hemkund Sahib so village Ghangaria is not so crowded. 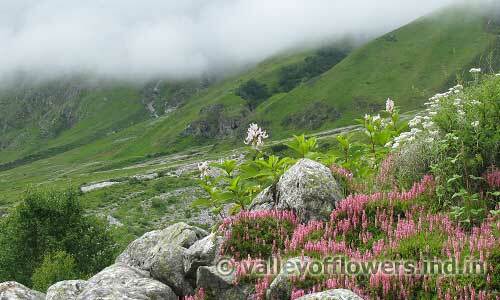 However during in recent years we have seen increase in the number of visitors to the Valley of Flowers. 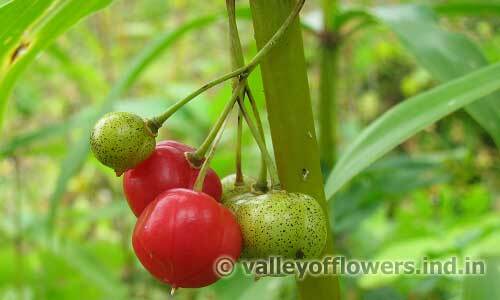 Negative points in going to the Valley of Flowers during this time. This is peak monsoon time and in this area lot of landslides occurs during this time. These landslides sometimes may disturb your itinerary and you may need an extra day to complete your trip. 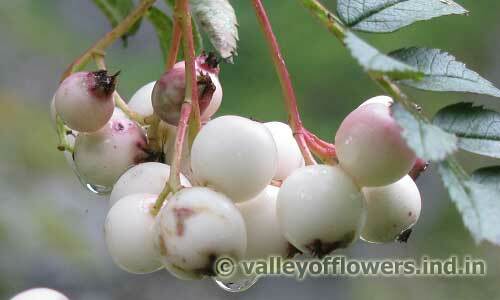 Following are some of the pictures taken in Valley of Flowers during Mid July to Mid August. Valley of Flowers in August second half. this time. 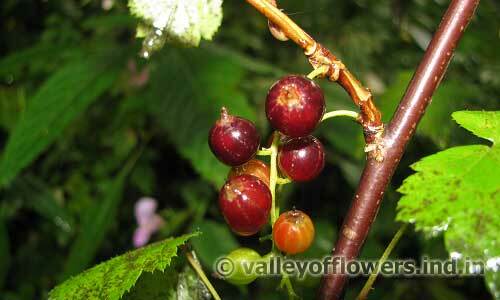 You can see some of the pictures of Valley of Flowers in August below. 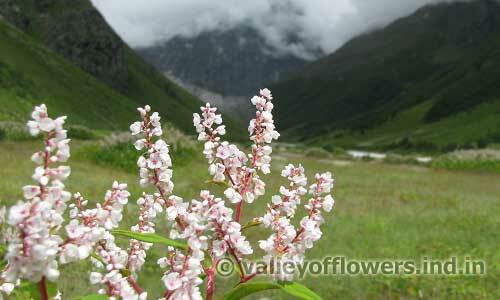 Following are some of the pictures taken in Valley of Flowers during second half of August. Valley of Flowers in September. and the peaks are snowclad again. You can see some of the pictures taken by us during September. You will see very less number of tourists and generally Ghangaria is deserted. It generally does not rain in this period. 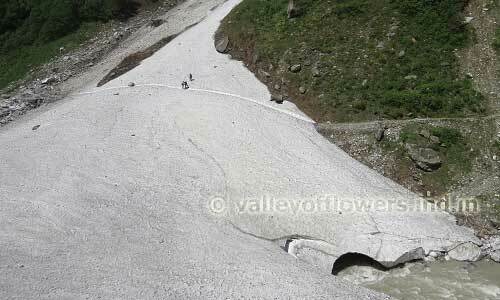 Negative points in going to Valley of Flowers during this time. During this time you will see very less number of flowers. You will not see glaciers also as they are all melted by this time . 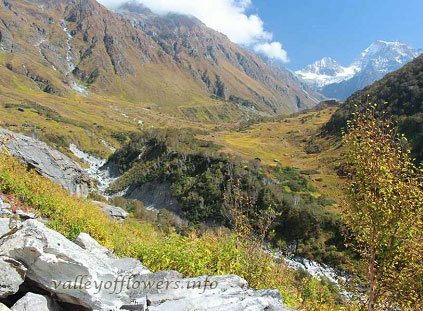 But overall the Valley of Flowers and surrounding areas are so beautiful that they are even worth visiting during September and you can see vertical peaks, beautiful waterfalls and rivers. 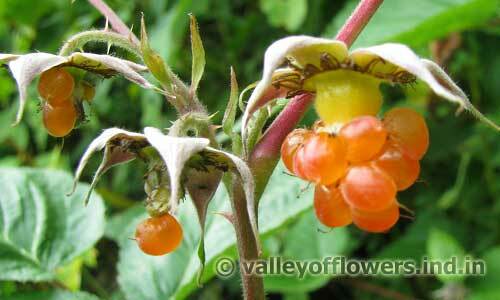 Following are some of the pictures taken in Valley of Flowers during September month. 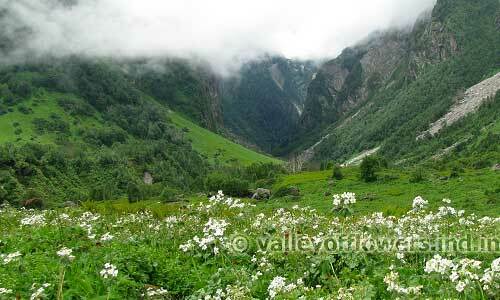 Our old article on best time to visit Valley of Flowers is also worth reading. 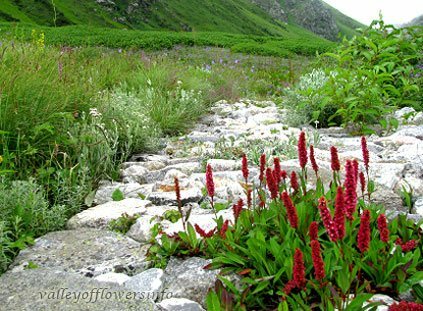 Valley of Flowers is beautiful any time, in September you will find less number of flowers in the valley but weather will be very nice, You will find beautiful flowers at Hemkund Sahib. Thanks for this blog, it is very informative indeed. I wish to know the package rate for a couple.I do not wish to take transport and would prefer to come to govind ghat by my own transport, I know it can be tiring but i will take one day for rest. First of all i would like to thank u for such a beautiful blog covering all d aspects of this place. 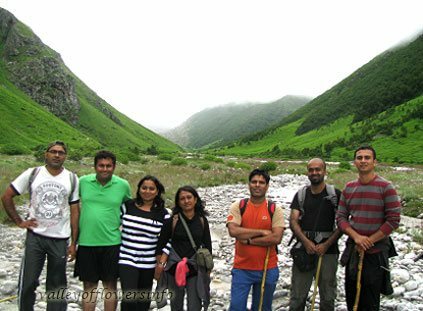 Well, we group of four members are planing to visit Valley of Flowers,hemkund,badrinath in the first week of Aug. Can you pls share d itenary and costing. thanks, detailed itinerary has been sent to you on your mail, can you please send your phone number on my mail id. 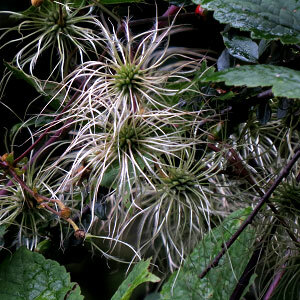 Clematis montana is a gregarious climbers. Leaves are falling early, fascicled, trifololate. Flowers are white to pale pink. 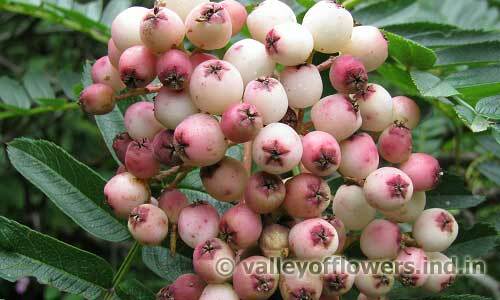 Fruits are a group of compressed ovate achenes with long feathery cream colored style.